At some point several years ago, I decided that most mobile games were not worth playing. Filled with micro-transactions and dumbed down brainless tappers, there just hasn’t been much on the mobile market that appealed to me as an experienced gamer looking for something with more substance. I’ve had a change of heart recently, as I noticed that a lot of the indie games I had wishlisted on Steam are on Google Play as well. Not only that, but they’re often less expensive on Android. Because of this, I’ve actually been enjoying mobile games for the first time. 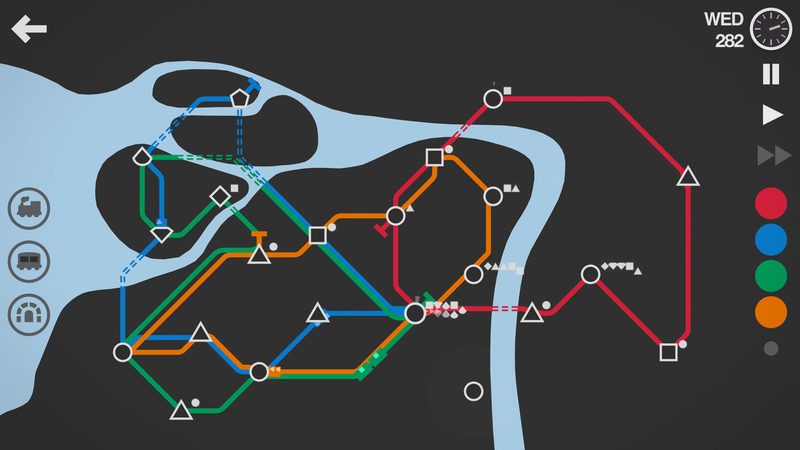 Mini Metro is one of the first mobile gems I have recently found since making this transition to gaming more on my Android phone. 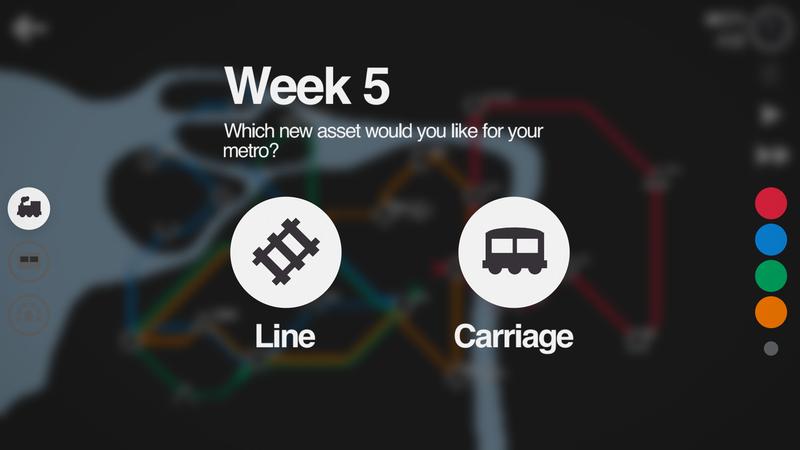 Mini Metro is a puzzle game about building a train or subway system. Cities appear as generic shapes on screen, with passengers popping up next to each station as corresponding shapes. The shape of the passenger tells you where they need to go. It’s a brilliant system for a puzzle game. 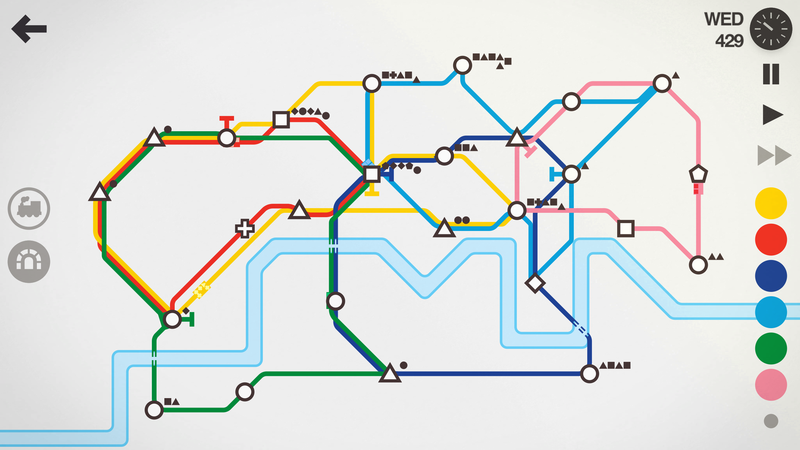 Mini Metro is loaded with strategy and fun. 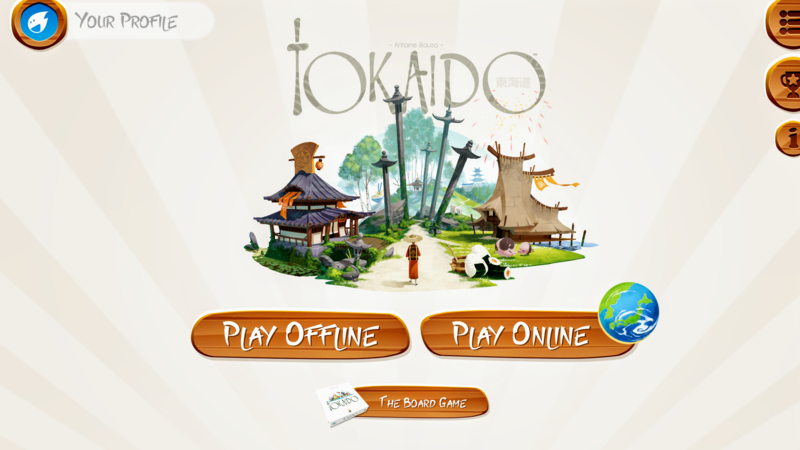 You can play in real-time, speed up the pace of the game, or even pause it. Except when in extreme mode, the game can be paused and tracks can be moved around, even after they are placed. Each week you are given upgrades such as new locomotives additional lines (new color) or interchanges (stations with a higher passenger capacity). 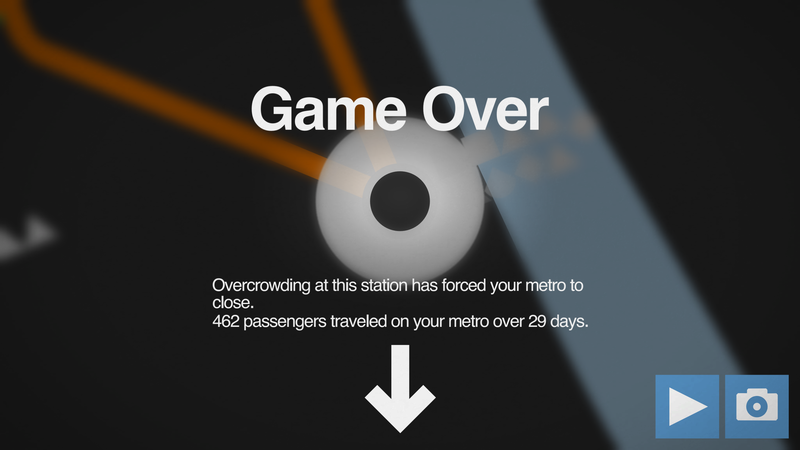 Each game of Mini Metro goes on as long as you can survive without one of your stations becoming overcrowded. The game works well on my Nexus 6P Android OS phone with absolutely no problems, and I bet it would work just fine on older devices. The visual graphics are simple, yet satisfying. The interface takes a little practice on mobile, especially when you’re in a game with a lot happening on-screen. All that being said, this is a fantastic puzzle game that is completely worth your money, even even at full price. I give it a 9 out of 10.